April | 2011 | I made that! Homemade Doughnuts! Krispy Kreme style! Now I’ve really gone and done it. I knew it was a slippery slope, but how could one resist? I’ve made doughnuts before, with mixed success. I’ve probably been the most happy with my apple fritters, but apple fritters are basically in their own category. And ricotta zeppoli, I think I’ve nailed that one. But a perfectly executed, simple glazed doughnut, now that’s a challenge. It seems to me that there are two camps of thought on the topic of glazed doughnuts (we’re talking “raised” doughnuts here), and they revolve around Krispy Kreme: you’re either with them or against them. I know this is a controversial opinion, but having grown up in the South where Krispy Kreme reigns, where staring bug-eyed at those little discs moving along their little frying oil river after church on Sunday mornings was a pinnacle experience, I am a devoted fan. Since moving to the west coast, they are much less ubiquitous, and not having a car for 14 years kept me from seeking them out, which surely kept my waistline in check. All that changes today, because now I can make them myself. Very, very dangerous indeed. I suspect I’ll be renewing my gym membership this week. For those nervous about doughnuts, let me assure you, they are worth it. While there is a lot of waiting time, the amount of time you’re actually making effort is quite minimal. So while they’re probably not a weeknight dessert (unless your workday ends quite early), they are perfect for a day when you have other things going on in the house. You can check in on them periodically, and once you get the system down, they practically make themselves! OK, not that easy, but you know what I mean. I started with a very wet and sticky dough. I let it rise until it doubled in size. Then I rolled it out and stamped pretty little shapes in it. I let those pretty rings rise again, until perfectly puffed. And then I fried them and glazed them. I am very excited about the vanilla glaze. Oh yes. My chocolate glaze, well, it needs some work. And since I need to take a breather from having doughnuts around ALL THE TIME, I will get back to that another day. For now, the glazed doughnut, use it wisely. – Heat the milk to 100 degrees. I just pop it in the microwave for about 20 seconds. Stir in the yeast until it is dissolved. Transfer to a medium bowl and add 5 1/2 oz of the bread flour. Stir until it forms a smooth paste. Cover the bowl in plastic to prevent drying out and place in a warm spot to rise. The inside of a gas oven is a great place, oven turned off of course. 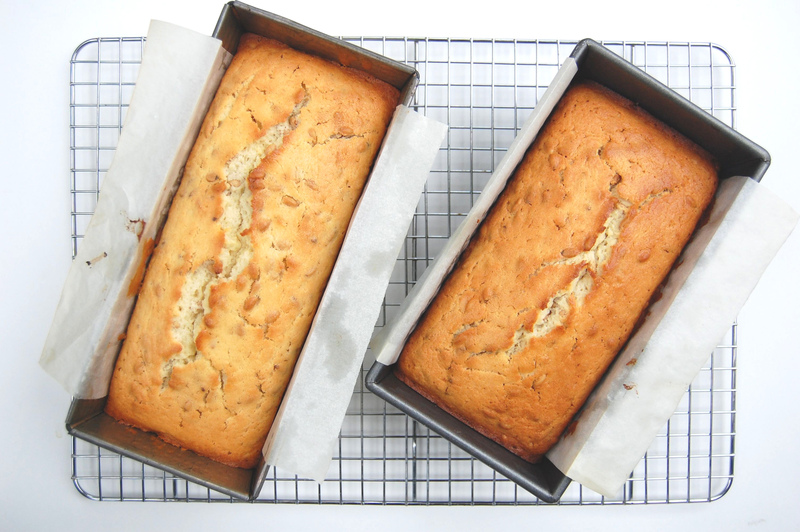 – When the paste has doubled in size (about an hour, depending on the temperature of your house, it will now look more like a sponge), add it to a kitchenaid mixer fitted with a paddle attachment. Add the egg yolks, superfine sugar and salt and mix on low speed until smooth. – Split and scrape the seeds from the vanilla bean and add to a small pot with the butter and vanilla extract. Heat just until melted. Add to the dough in the kitchenaid mixer and mix on low speed until smooth. With the mixer running, slowly add the rest of the flour, sprinkling in at the side. 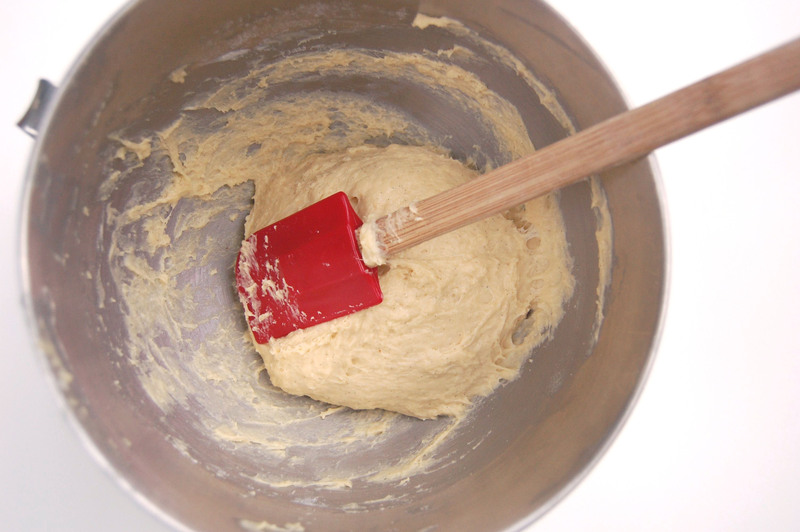 Keep mixing until it just comes together into a smooth dough. It will be quite wet and sticky, but should be able to hold together as one “lump” of dough. If not, add a bit more flour, one TBSP at a time. – Brush a large bowl lightly with vegetable oil. 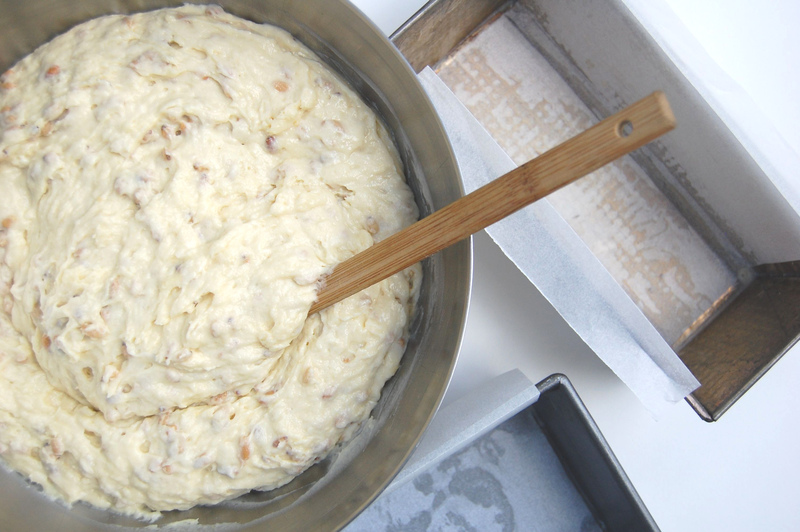 Place the dough in the bowl and cover with plastic wrap. Place in a warm spot to rise. 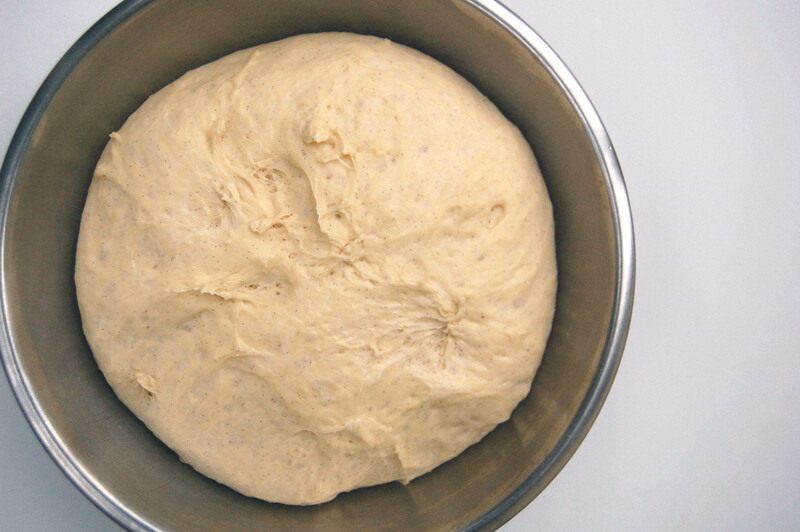 – Once the dough has doubled in size, pop it in the fridge for 15 minutes. This will make it easier to roll out. 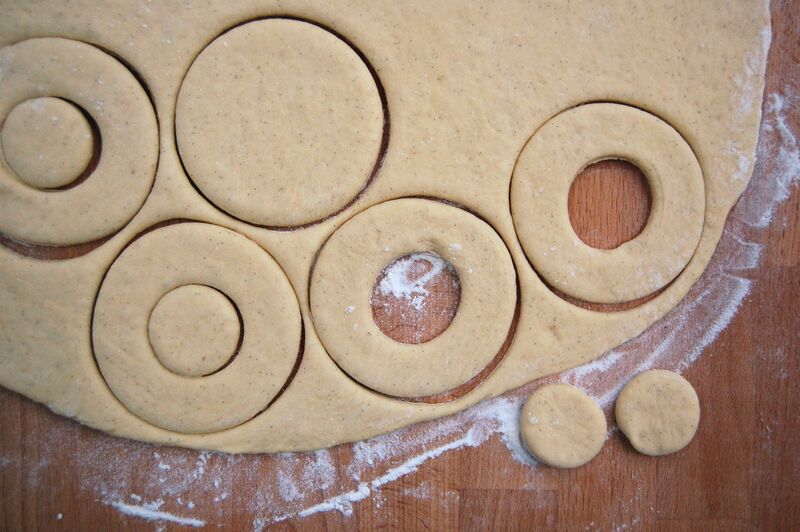 – On a well-floured surface, gently roll out the dough to about 3/8” to 1/2” thickness. Use a cutter to stamp out whatever shapes you like. Place the stamped dough on a parchment lined sheet pan, cover with plastic and allow to rise again in a warm spot. 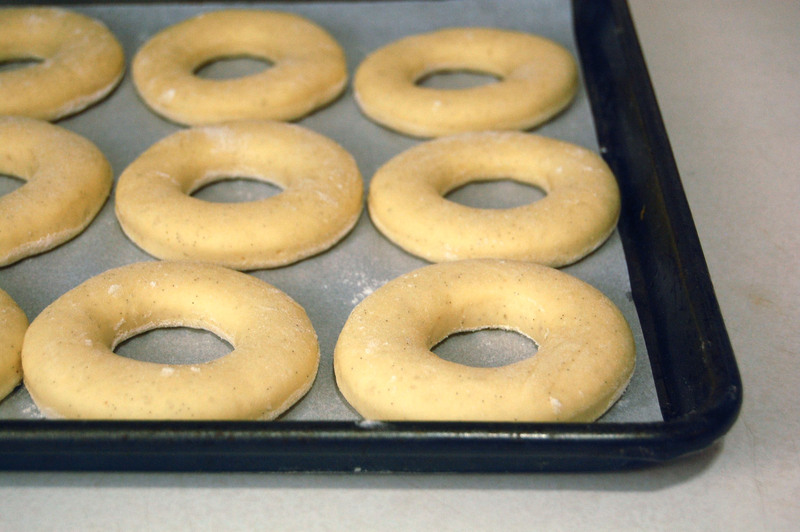 – Once the doughnuts are almost doubled in size, begin heating 1 1/2 to 2 inches of vegetable oil in a large pot. When the the oil reaches 360º start frying the doughnuts in batches. Fry them until golden brown on each side, the total frying time will be under 2 minutes. Use tongs to flip and retrieve them. 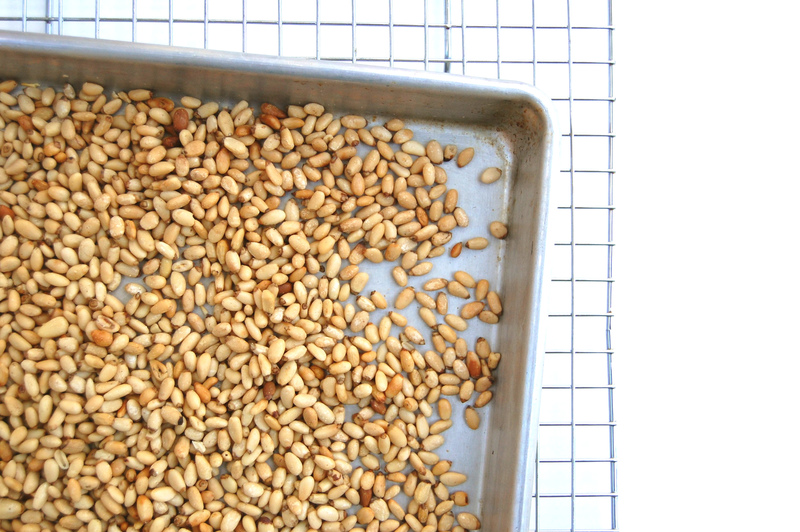 – Allow to drain on a wire rack over a sheet tray. While still warm, drizzle with glaze. 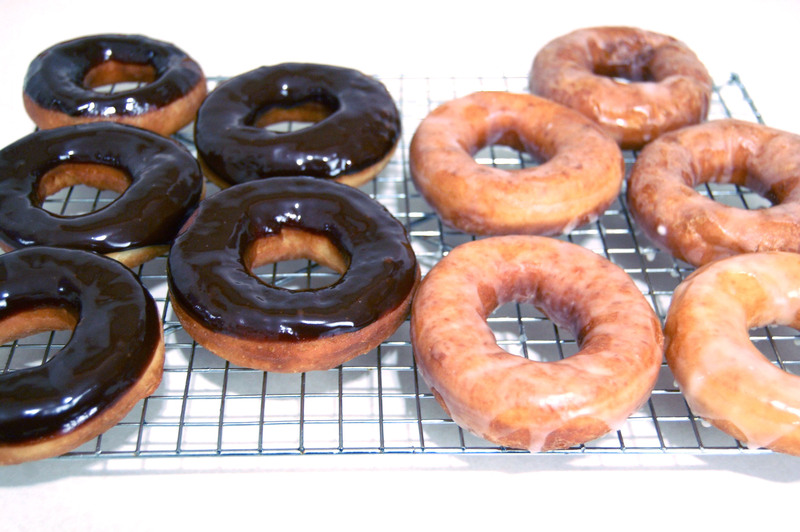 If making chocolate doughnuts, wait until they have cooled and then dip half in the chocolate glaze. – Combine all ingredients in a small bowl and stir until smooth. If it is lumpy, pour it through a fine mesh strainer.